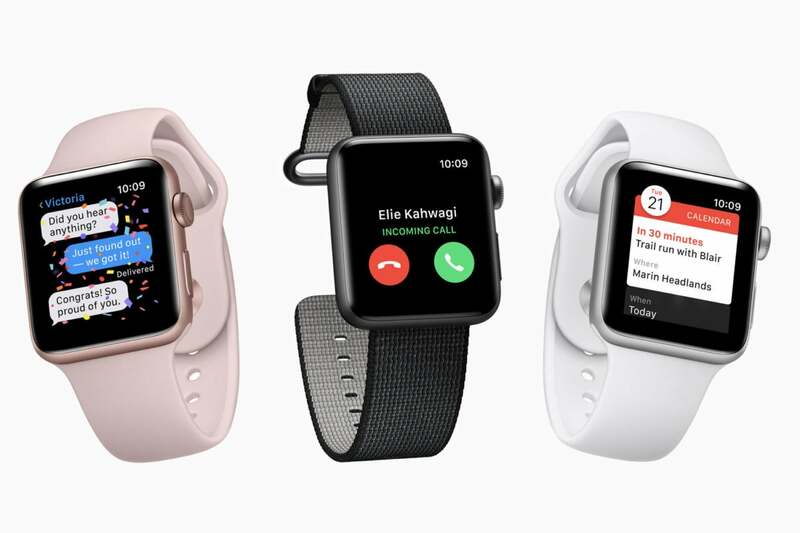 As the Apple Watch prepares to turn three, Apple’s preeminent wearable has hit an interesting inflection point. It’s neither the raw, “does everything and the kitchen sink” device that it was when the company first announced it, but neither is its path forward obvious. 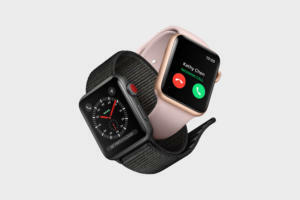 Apple’s added low-hanging fruit like GPS and LTE, and attempted to make the Watch more self-sufficient, but it’s hardly about to supplant an iPhone for most people. At best it’s a device you don’t mind carrying if you’re going some place that you can’t take your phone. But Apple has shown that it still views wearables as an important category. Tim Cook has drawn attention to its performance in the last few quarterly financial results, grouping together sales not only of the Watch but also of AirPods and Beats headphones. With an Apple Watch Series 4 probably on the horizon, what is there left to expect? What’s going to keep the Apple Watch ticking away—if you’ll pardon the expression—into the next decade. Overcast developer Marco Arment made waves recently by pointing out that Apple’s WatchKit framework simply isn’t getting the job done for third-party Apple Watch apps. As Arment points out, Apple itself doesn’t have to build apps with WatchKit, leaving it to stagnate as developers try to make do with watered-down tools. This has led more than a few people to wonder if the writing should be on the wall for Apple Watch apps period. And, as it stands, I’m with those people. The number of third-party Watch apps I actually use are pretty few and far between. Interactions of more than a second or two are often unwieldy, and finding apps that aren’t in your Dock is an exercise in frustration. (Thank heavens for watchOS 4’s List Mode, which makes it at least plausible.) In general, I want to get information from my Apple Watch at a glance, for which complications are usually the perfect solution. Occasionally I want more information—say, the day’s weather forecast rather than just the current conditions—and I’ll tap through a complication to get it, but those instances are fairly rare. In this, I echo John Gruber’s sentiments that custom watch faces are perhaps what Apple should be focusing on rather than the app model. It sometimes feels as though Apple had an amazing hit with the App Store on iOS and is determined to try and replicate that across its other platforms, even when it doesn’t really make sense. The question is: will the Apple Watch form factor ever change? There’s an argument that it’s become iconic, instantly recognizable in the same way that an iPhone is. But even though the iPhone today is clearly a descendant of the original iPhone ten years ago, there have been substantial improvements and tweaks to the form factor of the phone over the last decade. In some ways it’d be surprising if Apple didn’t make the same move with the Apple Watch. What exactly a new shape of Apple Watch would look like, on the other hand, is anybody’s guess. Other vendors have tried to produce compelling round smartwatches, but they’ve generally been big or bulky or hampered by bizarre technical limitations like the weird display dead space in the first-generation Moto 360. But that hasn’t stopped companies from continuing to release them, which raises the question of whether Apple might eventually develop its own round-displayed version of the Apple Watch. Personally, I’m skeptical. I think Apple’s plenty happy with the shape of the Apple Watch, and it would rather not have to shoehorn components into a round frame simply for the sake of it. As with the notch on the iPhone X, the Apple Watch’s square screen has become one of its most defining features. Instead, look for Apple to follow its traditional pattern of making cases thinner, shrinking bezels, and having the display become an even more prominent part of the device. There are more than a few remaining features that Apple could still consider adding to the Apple Watch. An always-on display would be at the top of the list for many people I know. More customizable Watch faces. Better battery life and faster performance are always welcome improvements, too. But what I’m most curious about is where Apple sees the next generation of the Watch going. Because with the addition of LTE and GPS, the Apple Watch has become a more functional device with a roadmap that’s less clear. It’s not like the iPad, where the goal has been to have it become the computer for the rest of us. The Apple Watch is necessarily a device with a smaller, more limited purview, and it feels like Apple has achieved most of that. If there’s one thing I look to for the future of the Apple Watch, it’s the company’s interest in healthcare and wellness. 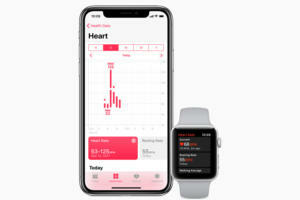 Apple has clearly been trying to figure out how to add more health-related sensors into the device, to help users track things like blood sugar or perhaps some day blood pressure. These are harder problems to solve, but one could argue they’re ultimately more worthwhile. Apple could do a lot worse than building the best healthcare wearable device...that also happens to have a bunch of smartwatch features too.